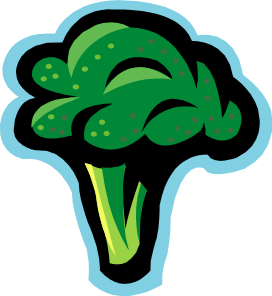 Broccoli, kale, cauliflower, cabbage and arugula all belong to a group of foods known as the cruciferous vegetables. Sulfur is a mineral that is not consumed in its elemental form. We get the sulfur we need by eating foods that contain sulfur bearing amino acids. Amino acids are the building blocks of protein. Methionine and cysteine are examples of sulfur bearing amino acids. The chemistry to remove the sulfur from these amino acids is well established. In short, it involves vitamin B12, folic acid, vitamin B6, magnesium, betaine, and molybdenum as catalytic enzymes. The free sulfur is then used to manufacture glucosamine sulfate and chondroitin sulfate used to repair connective tissue (muscle, ligament, bone, cartilage, tendon, and disc). It also controls Candida in the bowel. The third function of free sulfur is to facilitate phase II liver detoxification. Phase II liver detoxification actually has ten known pathways. Five of them are dependent on sulfur. These pathways take spent hormones that have passed through phase I liver detoxification and make them water soluble so they can be eliminated from the body. These pathways are vital as many hormones become carcinogenic after passing through phase I detox. When estrogen goes through phase I detoxification in the liver it become dehydroxy estrogen. There are three potential forms of this compound. 2-hydroxy estrogen is the safe form. 4-hydroxy estrogen can be carcinogenic but 16-hydroxy estrogen is always carcinogenic. The later form is created at various rates in the body but is always the intermediate compound from the HRT (hormone replacement therapy) drugs Premarin and Prempro. When physicians diagnose breast cancer that is estrogen dominant, they prescribe the chemotherapy Tamoxifen, or one of its second or third generation drugs. Tamoxifen follows the estrogen pathway to the breast tumor and then tries to kill it. What medical science ignores is that estrogen dominant breast cancer develops because of errors in the estrogen detoxification pathways, specifically phase II liver detoxification. Several research studies have shown that a cruciferous vegetable extract taken with Tamoxifen reduces the recurrence of breast cancer 50 fold. Despite this research, I have yet to have a patient with breast cancer who’s oncologist has recommended a cruciferous extract to be taken along side their chemotherapy. I3C and DIM are readily available supplements in health food stores based on this research. However, in reviewing the published studies, I found that only the food extract has been demonstrated to be effective in reducing the recurrence of breast cancer. If you have a hormonal imbalance, a family history of breast cancer, or even male pattern baldness, please increase your daily intake of cruciferous vegetables. If you have a history of breast cancer, strongly consider supplementing the diet with a cruciferous extract.